Get the look and bright light of HID without an expensive conversion! 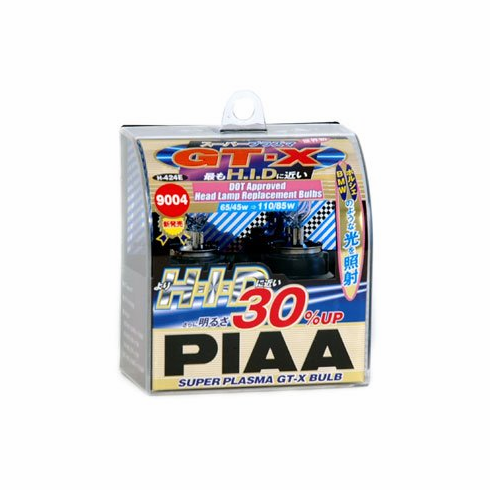 PIAA Super Plasma Gt-X Bulbs put out twice the light of normal bulbs without using more power! For the fashion conscious driver PIAA offers our new H-3 Super Plasma GT-X bulb. This bulb will give your factory fog lights a beautiful bluish purple look. With fashion there is no need to sacrifice performance. With PIAA�s XTRA technology you�ll have plenty of power.